One of my surefire ways to feel pampered and relaxed is to go for a blow dry and you guys may have read my review of the Blow Ltd 'At Home' Services where you can book on-demand beauty treatments and have them in the comfort of your home. 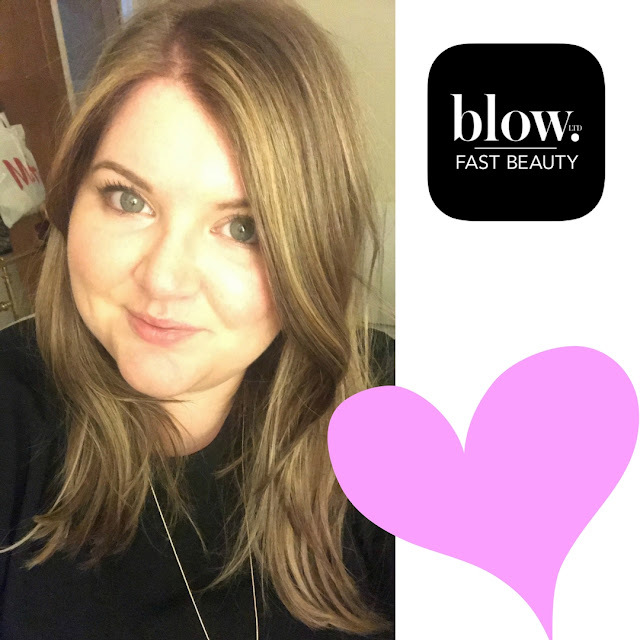 Blow Ltd has recently also opened a salon within Debenhams in Manchester and I was fortunate enough to be invited along to experience it! In prime position on Market Street, Blow Ltd is geared up for all the quick turnaround beauty treatments you might need. I opted for a quick blow dry and was in an out with a lovely bouncy blow dry in record time. Blow Ltd use Kerastase Products which were a real treat for my hair and I was really impressed with the service overall and will definitely be making use of the salon over the festive season and beyond!